A young gun with a class pedigree, Jun Cha apprenticed under Baby Ray, Chuey Quintanar, and Jose Lopez. He also learned a little from Cartoon. 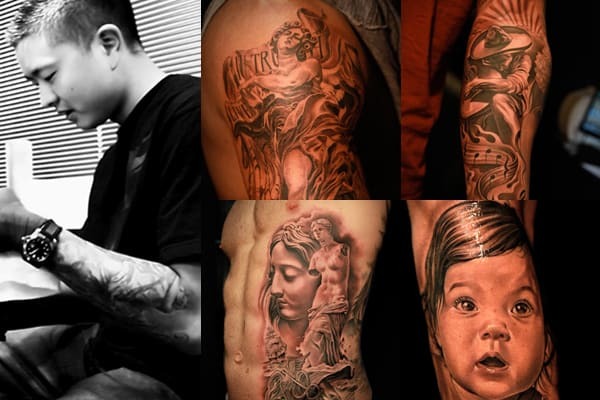 Jun Cha only graduated from art school a few years ago, but the dual lessons of the classroom and the tattoo shop show. Cha is steeped in history, and he favors historical subject matter. He excels at creating mythological figures.